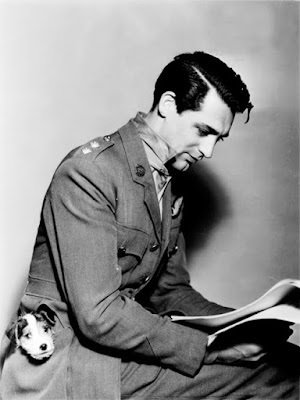 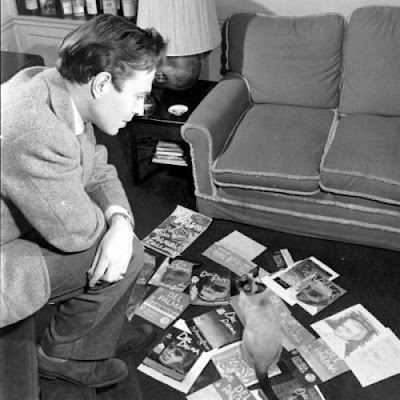 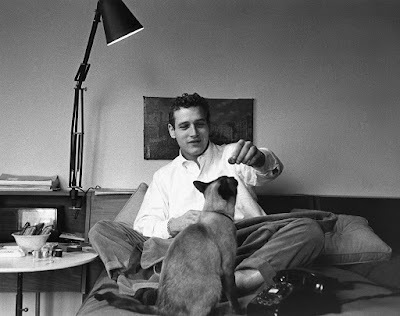 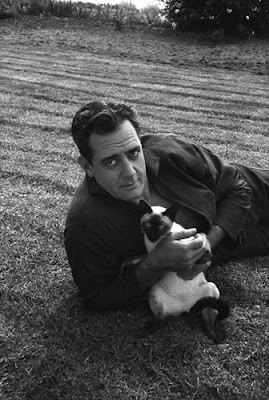 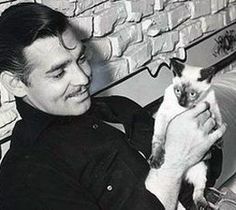 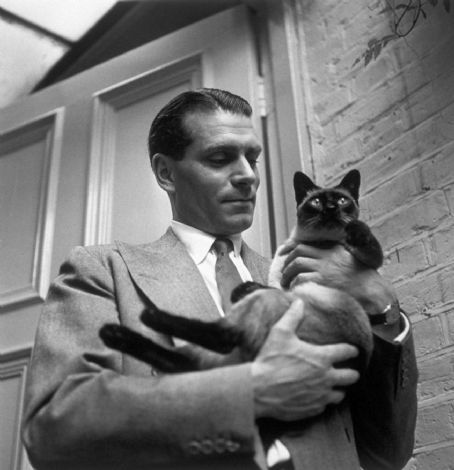 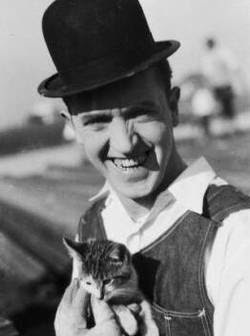 It's amazing how many great photos you can find of Old Hollywood fellas and their cats. 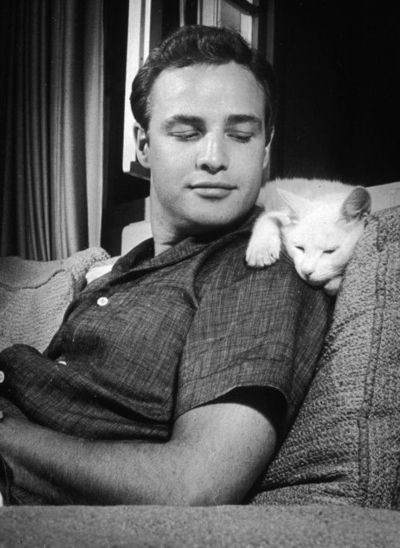 I mean, seriously...google 'actors with cats' and you'll be shocked at the number of swoony photos there are of our favorite actors snuggling their favorite feline. Here are ten of the best...Oh, and by the way, notice how many seem to prefer the Siamese variety...must have been a trend at the time. 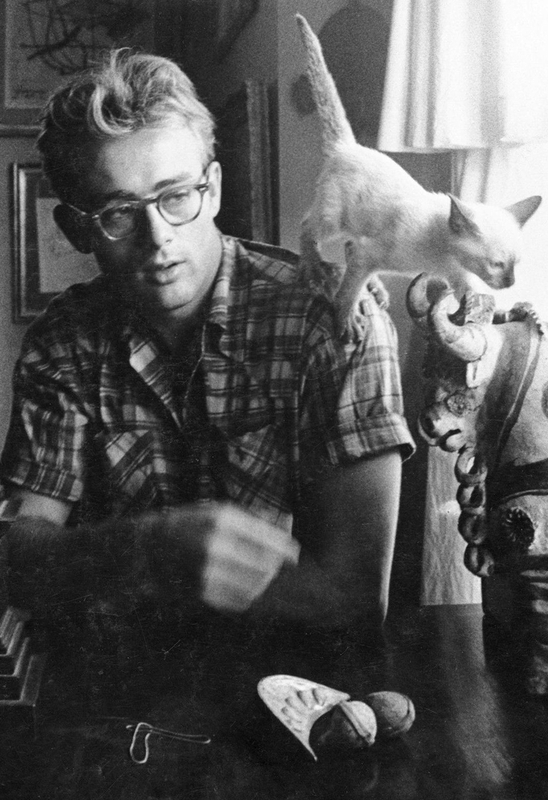 My Grandmother had Siamese cats at least as far back as the 1960s and into the early 1970s. 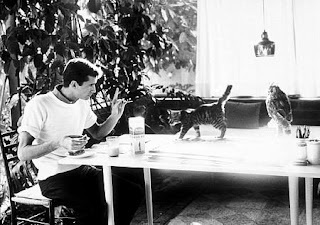 Now that you mention it, I bet they really were a thing at the time.